An Opera McGill production of Benjamin Britten’s Albert Herring in November 2018. Photo by Sebastien Duckett. Participation: Entrance is by audition (see audition schedules). This ensemble is open to music students, and McGill University students from other faculties. Participation is required from September-April. After a successful audition in the fall, which is open to all undergraduate and graduate voice students, the selected casts receive extensive coachings on their role(s), classes in audition techniques, seminars on summer programs, headshots and resumes, and specialized master classes from experts in their respective operatic fields that focus on everything from the business of opera to period movement. Acting techniques and bodywork are introduced through seminars and the staging rehearsal. An important aspect of Opera McGill is the exploration of the eight multiple intelligences of opera (Musical, Linguistic, Kinesthetic, Mathematical, Spatial, Interpersonal, Intrapersonal, and Environmental). The students become stronger in these “intelligences” through vocal coachings, one-on-one dramatic coachings, audition and acting techniques classes, physical movement classes (such as Tai Chi), Feldenkreis instruction, and group discussions about the business aspects of opera. Masters of Opera and Voice students will experience as many levels of operatic roles as possible (Lead, Featured, Supporting, Bit, and Chorus Bit, as well as Covering roles and singing in the chorus) to give them a comprehensive operatic repertoire experience (C.O.R.E.). 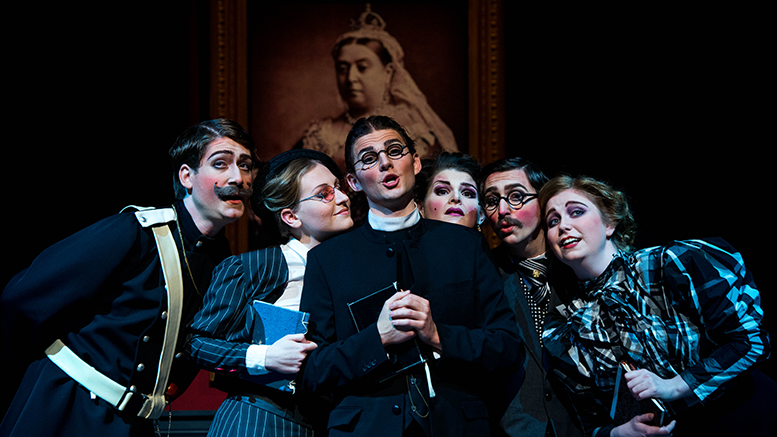 Masters of Opera and Voice students also experience backstage and supporting offstage “roles” such as assistant director, assistant stage manager, wardrobe and props assistance, supertitles work, and more.